Does a contraction in the growth of Broad Money Supply say that recession is looming? Australia’s most recent history responds with a resounding ‘Yes’. 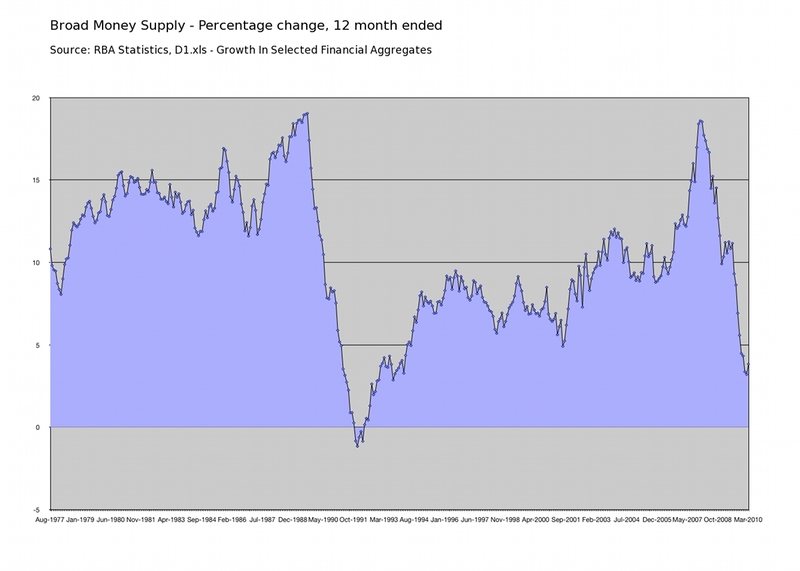 Broad Money Supply in Australia has been falling ever since December 2007. Money supply and credit are now generally contracting. We’re going to see an intensified downturn in the near future. I specialize in looking at leading indicators that have very successful track records in terms of predicting economic or financial turns. 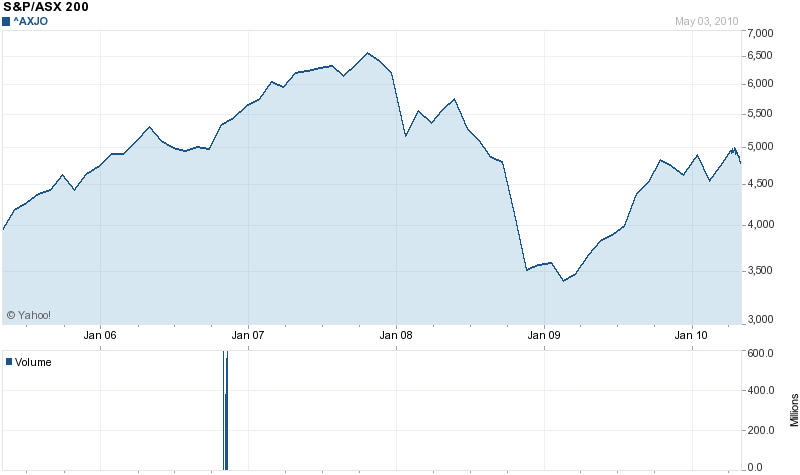 One such indicator is the broad money supply. Whenever the broad money supply–adjusted for inflation–has turned negative year over year, the economy has gone into recession, or if it already was in a recession, the downturn intensified. It’s happened four times before now, in modern reporting. You saw it in the terrible downturn of ‘73 to ‘75, the early ’80s and again in the early ’90s.